Book - Ben & Buddy - Spun Fibre Arts, a local and online yarn store specializing in natural fibres. 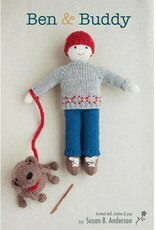 Ben & Buddy is an adorable knitted boy doll and dog duo, complete with accessories, designed by Susan B. Anderson. 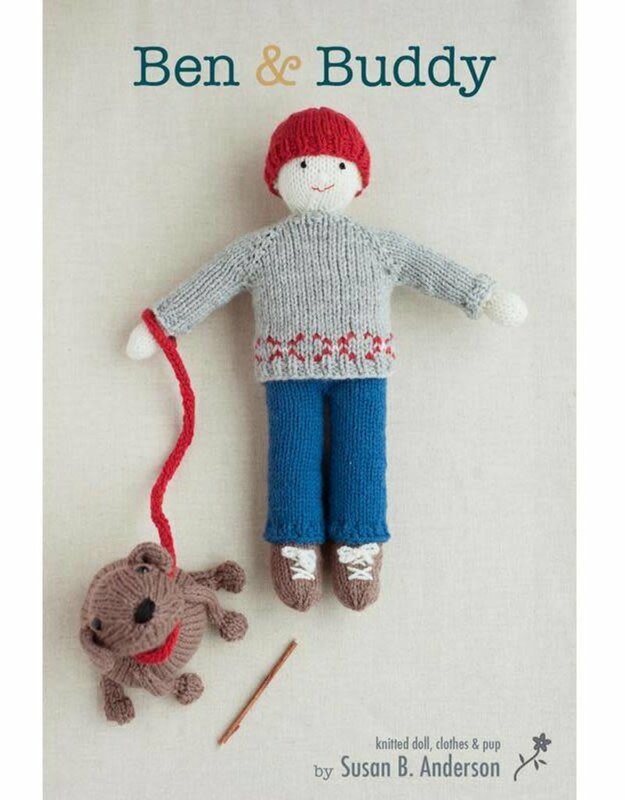 One pattern each for doll, sweater, pants, hat, dog, and leash are included. Nearly everything is knitted from seamlessly from the top down. Sweet details, clear instructions, and clean design make this pair irresistible to knit.